“Padhhoge likhoge banoge nawaab, kheloge kudoge banoge kharaab.” As years have flown by, the Indian contingent at the Olympic Games has increased both in size, and participation across events. One sole athlete represented India at the 1900 Games. In 2016, the number reached 118. The medal tally, however, has remained stagnant and disappointing, drawing harsh international criticism. This two-part series identifies the young student athletes of India as the foundation of Indian sport and attempts to analyse their personal, societal and administrative struggles which have translated to largely underwhelming results at the international stage. Following the Rio Olympics in the summer of 2016, a question arose in the arena of International Sport; one with the Indian sporting effort at the fore. As a BBC article framed it, “Olympic Losers: Why is India So Bad at Sport?” The Wall Street Journal chimed in with a seemingly exhaustive list of reasons for the same. The broad explanations included but were not limited to; a lack of money, insufficient infrastructure, not enough chances to compete with the world’s best outside of and in addition to the Olympics, the cricket frenzy, and the lack of media promotion. Borne from these is a perpetual delay in the nurturing, development, conditioning and recruitment of student athletes from a young age. This is admittedly not the first, nor will it be the last attempt at an exploration of the unique cases of student athletes in India. And this is rightly so. India’s performance at the last 5 Olympic Games — the overall size of the contingent, as well as the number of sports in which India participates, have increased over time. However, there is no significant evidence of a proportional increase in the medal tally. Even the comparatively larger haul of 2008 implied that for every 338 million people of the population, India had only one medal to show (ratio calculated as per 2008 population statistics). The Winter Games data is worse; for it sees minimal participation, either 1 or 2 athletes per Games, and no podium placement yet. This is perhaps understandable, given that training for the Winter Olympics requires preparation in certain colder climates for sustained periods of time; which India cannot realistically provide its athletes. Research suggests that the most favourable age for an individual to start playing any form of sports or game lies between 6-8 years. During this period, both physical and psychological development is maximized, conditional on proper training, nourishment and supervision. This is where the first flaw within the Indian context factors in. Recruitment and/or supervised training/coaching of children within the schooling framework majorly commences at or after 10 years of age. This monitoring gap has permanent detrimental effects on physical and mental growth as well as the eventual realization of true potential. A look at the promotional schemes run by the Sports Authority of India helps delve deeper into the problem. The National Sports Talent Contest Scheme (NSTC) recruits talent only between 8-14 years of age. Similarly, The Army Boys Sports Company Scheme (ABSC) recruits only boys between 8-16 years of age. The Centre of Excellence Scheme, Special Area Games Scheme, The SAI Training Centres all require the trainee to be minimum 12 years of age. These programs lose out on the most crucial growth years during which athletic skill can be inculcated and talent, identified and developed. The average annual allowance per trainee across these schemes is less than INR 20,000. This includes education, equipment, health, and insurance expenditure. This leaves only a small fraction for other expenditures and contingencies. 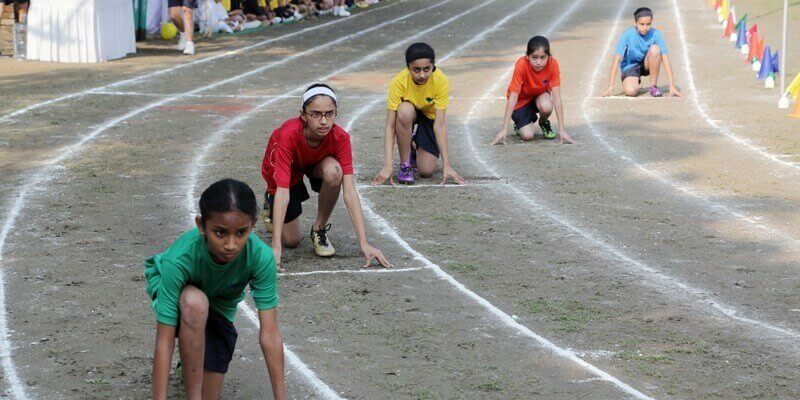 This varies from INR 300 to INR 1000 per month depending upon the scheme, sport and school. The road to success in sport is thus riddled with obstacles even before the athlete’s career begins. Can We Blame Contemporary India for side-lining Sports? The World Bank estimates that nearly 50% of India’s children (an estimated 60 million) are underweight, 45% are stunted, 20% are wasted, 75% are anaemic, and 57% are Vitamin A deficient. Physical and psychological growth aside, malnutrition drastically affects a child’s chances of survival itself. For a growing child or adolescent belong to this significant percentage, sports or rigorous physical exercise thus is nowhere near even a viable activity or priority. Moreover, as of 2017, the agricultural sector is said to employ 43% of the workforce in India, at least on paper. Farmer families and others directly involved in the agricultural field thus prefer to have their children provide extra hands in the fields as an extra source of income, rather than waste time in schools. This results in a large discrepancy between the number of children enrolled in schools and the number of those who actually attend and complete education. As such, since even basic education is a far-flung, intangible dream for many in a culture which already places education much higher on the priority ladder than sport, sport cannot possibly climb higher. Where then does Indian sport, as an entity, exist? Financial and other legitimate constraints aside, the one place where sport can truly ‘exist’ and thrive is the school. Here exists a fascinating paradox between public and private institutions. Public schools have limited resources to finance annual athletic endeavours. Those ‘regular’ schools falling under NSTC itself have an annual budget of only INR 20,000 for the purchase of sports equipment. As such, the enthusiastic, talented athlete suffers. On the other hand, private schools may have the funding and adequate facilities but are largely run with the primary aim of producing scholars and financially successful professionals out of students. Sports and physical activity, though no doubt encouraged and aided, is secondary. In both cases, the school cafeteria or mess hall do not fulfil the daily dietary requirements of competitive athletes; which is approximately 2000 calories (for ages 6-18). Parth Bhatnagar, a national level basketball player (ISC) from a renowned private school of Delhi-NCR, remarked that his teachers had a rather apathetic attitude toward sport. For them, ‘playing a sport would get him nowhere in life, and academics were the most important factor in making a life for himself.’ Parth is now an undergraduate psychology major at the University of Toronto. He has continued to play basketball at the inter-mural level. Athreya Mamidipudi, on the other hand, is a national level basketball player (IPSC and ISC) from Hyderabad, Telangana. His school was a public-private partnership and had a relatively more encouraging and accommodating attitude towards sports and games. The coaches were qualified and the teachers were understanding of the time commitment competitive sport demanded. Athreya is now a graduate of Ashoka University, a private institution. 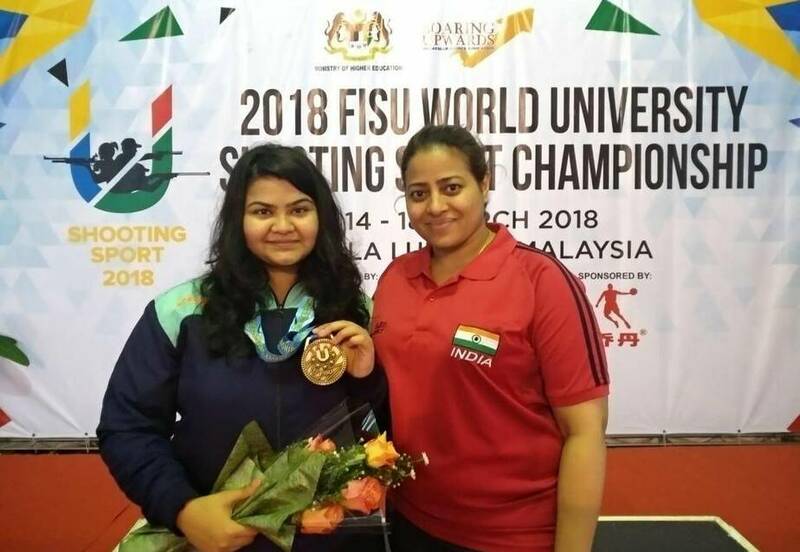 Trisha Mukherjee of Ashoka University (in the picture), Elavenil Valarivan, and Meghana Sajjanar had recently bagged a team gold and two individuals medals at the World University Shooting Championship. Trisha’s success story depicts the possibility that there is scope for student athletes in India to prove themselves on an international platform, but, we are yet to unearth and nurture it extensively. It is essential to note here, that there is no complete, reliable statistical record on the expenditure of Indian schools on sporting facilities and competitions and their returns. Neither is there a complete record of participation, organization and execution of state or nationwide school and varsity competitions. A philosophical argument be as it may; a team, pitch and regime can teach one beyond the classroom and words on a textbook. Discipline, teamwork, stoicism and perseverance are just a few lifelong learnings. While this relegation of sport to the background cannot be blamed on the contemporary Indian context, schools and other educational institutions have the power to influence change. At the moment though, there seems to be a severe lack of initiative. Such a mindset negates the formidable power of sport and game. 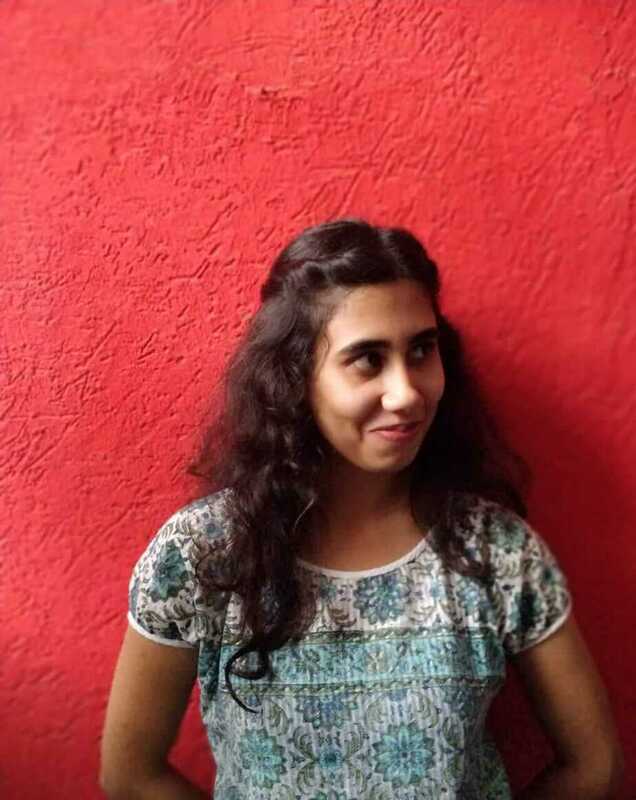 Even where sport is given some due importance, as is seen from Athreya’s case, there are other societal, logistical and administrative hurdles; and the athlete continues to struggle all through school and university.